The Pt-alumina-CD catalyzed enantioselective hydrogenations of ethylpyruvate (EP), ketopantolactone (KPL) and methyl benzoylformate (MBF) have been studied at first in an H-Cube flow hydrogenator in toluene and toluene + acetic acid. 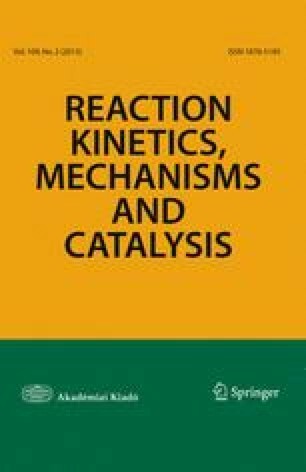 Based on the experience of previous studies carried out in batch-reactor and continuous flow systems, some parameters were kept constant (amount of catalyst, 380 mg; substrate concentration, 0.18 mol/L; temperature, 283 K), whereas others, namely chiral modifier (CD) concentration, hydrogen pressure and total liquid flow (TLF: substrate + modifier + solvent) were varied. In the course of enantioselective hydrogenation (R)-products were formed in excess: in the case of EP, KPL, MBF: 90, 60, 80 % enantioselectivities were obtained.